I got the pattern for this top from the Swedish book Sy! Från hood till skjortklänning from the designer Jenny Hellström Ruas. 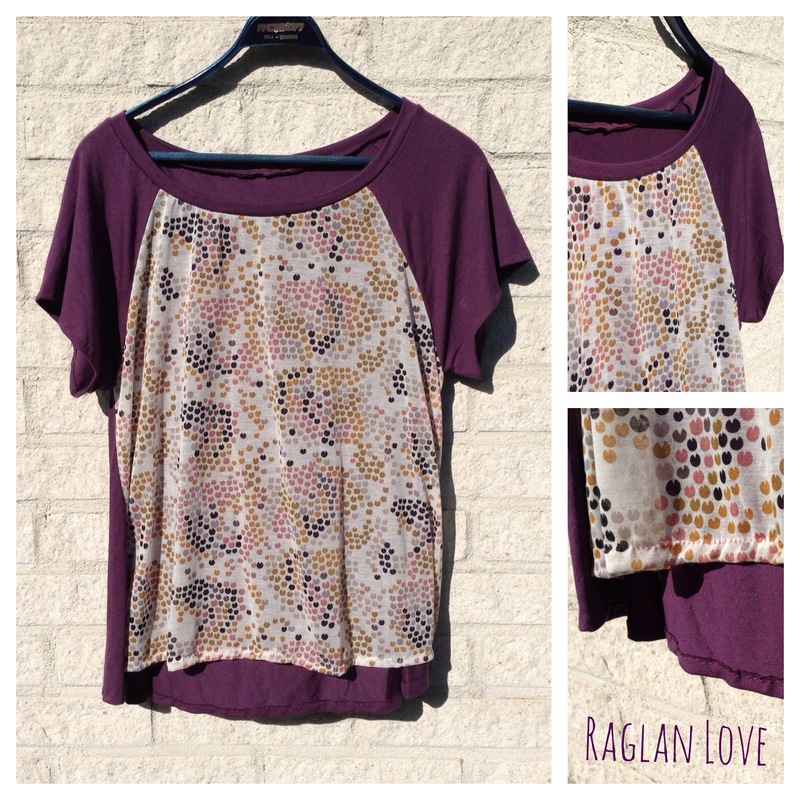 It is basically a short sleeved raglan with a wider and longer back piece. I used a patterned fabric for the front and a soft light-weight jersey for the sleeves and back. I added a ribbed neckline and hand sewed the hem and sleeves. The fit is really loose and flowy and I love how it is comfy but still a bit fancy. 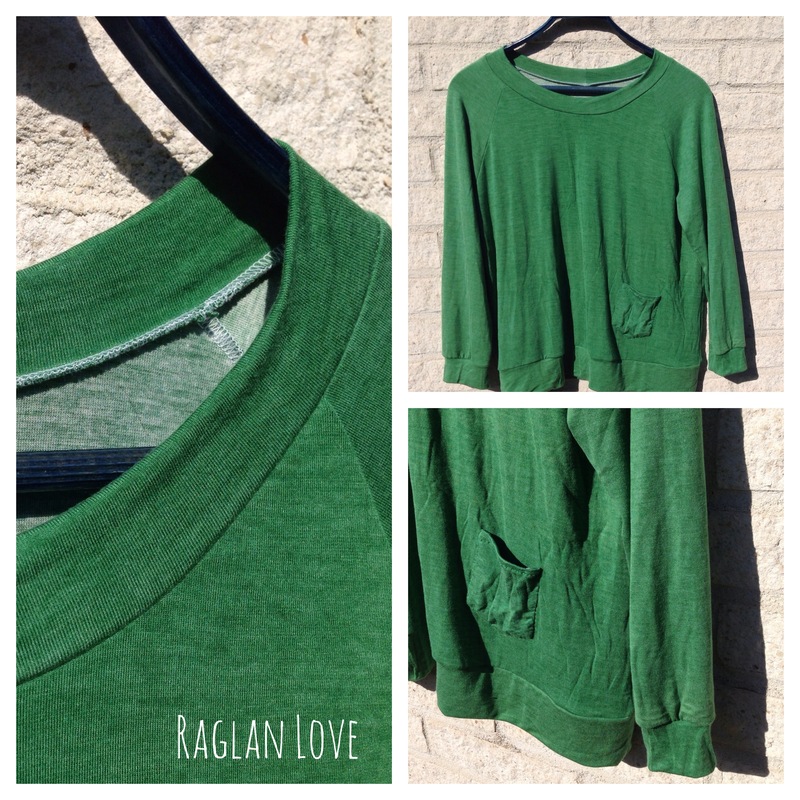 This green top was made with the same pattern as Raglan Love #1. I made it with long sleeves and used the same fabric to add a ribbed neckline and cuffs. I also added a little pocket to the bottom side that I handsewed in place. The green jersey fabric was also a bargain find and is super soft and comfy.